Bank of India has entered into a pact with Tata Motors for financing Fiat cars, which are available through the Tata-Fiat dealer network. For availing the loans, the customers can get loans at special interest rates of 9.75 per cent to 10.25 per cent for loans up to Rs 10 lakh for the Linea, Palio and soon-to-be launched Grande Punto, said a Tata Motors release. 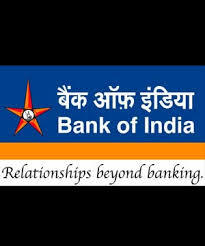 Bank of India offers car loans up to 90 per cent of invoice, for loans up to Rs 10 lakh for tenure ranging up to 6 years. This facility will be available at all metro as well as urban and semi-urban branches of Bank of India and the 100 sales touch points of the Tata-Fiat distribution network.